I rarely give myself credit when my cooking is good but biting into one of these babies I was actually proud of myself for making something so damn delicious. 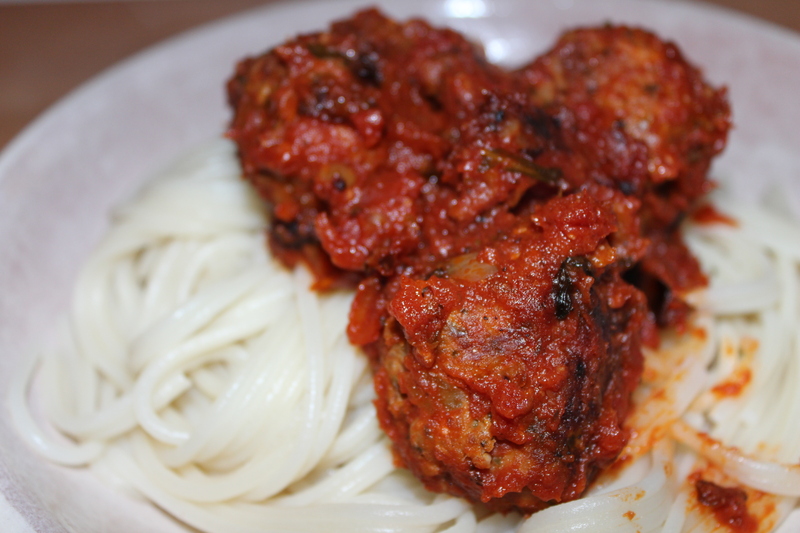 Meatballs and spaghetti is the ultimate comfort food, and when they are done like this there is nothing wrong with devouring a whole bowl (or two). You don’t even have to bother making a salad with this meal because cutting into one of these balls is already so green. Do yourself a favor and make these. Then share em with someone you love. P.s. they’re perfect for a dinner party, cook them earlier in the day and keep them simmering in a pot as long as you want- your guests will be happy and it will be the easiest dinner party ever. In a large skillet, heat two tablespoons of the olive oil over low heat. 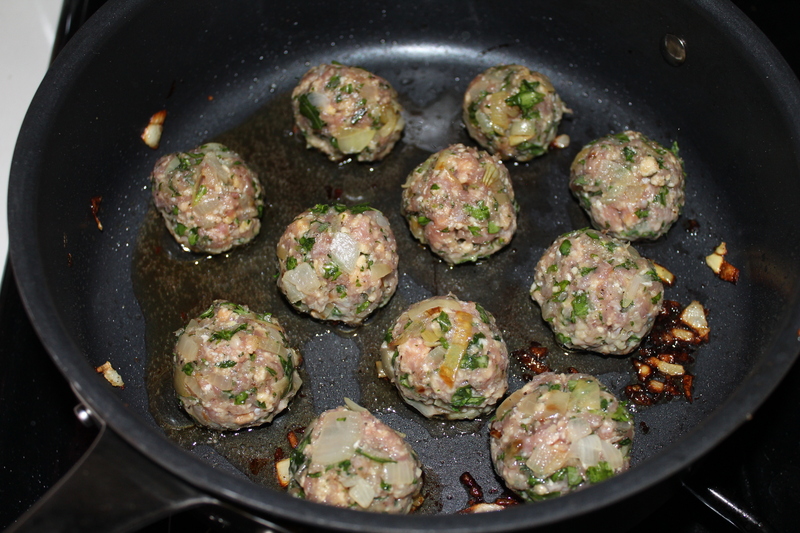 Add the chopped onion and slowly cook them until they are starting to brown. (About 10 minutes) Add the garlic and a generous amount of salt and pepper and sauté for another few minutes. 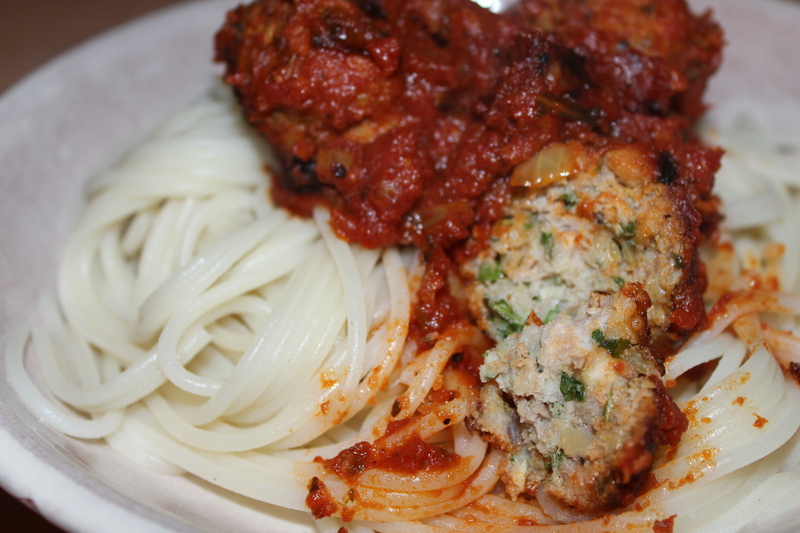 Meanwhile, pour your tomato sauce into a large pan and simmer.In a large mixing bowl drop in the ground turkey and combine the sautéed onions, herbs, arugula, gluten free bread crumbs and eggs until everything is fully combined, but careful not to over mix. In the same skillet you sautéed the onions in heat the leftover olive oil. 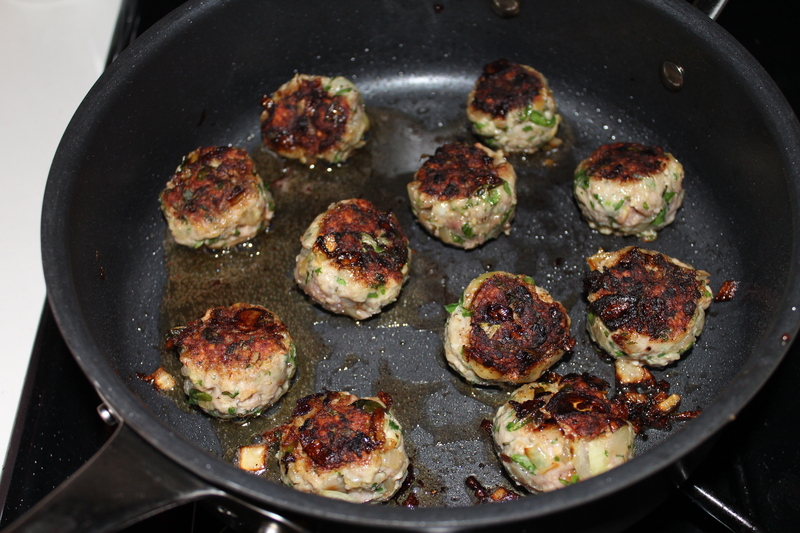 Make golf ball sized balls out of the turkey mixture with your hands and place in skillet, making sure not to overcrowd. 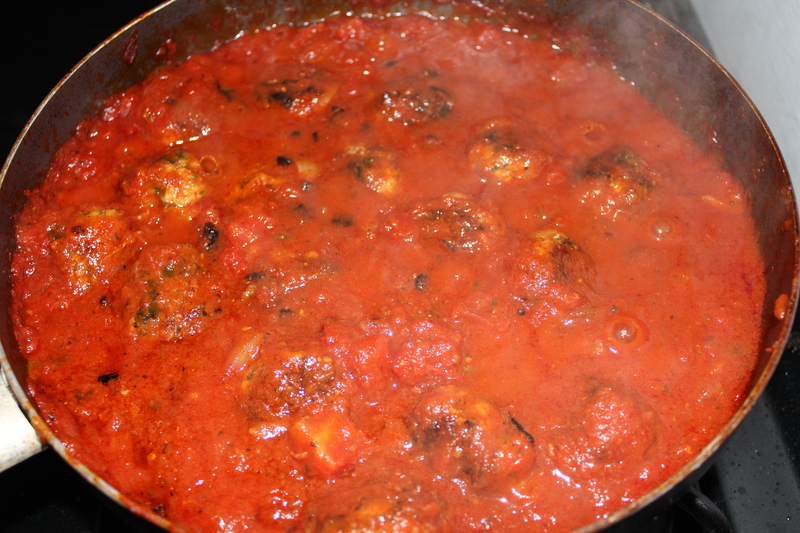 Brown the meatballs and form a crust on each side (about 8 minutes). 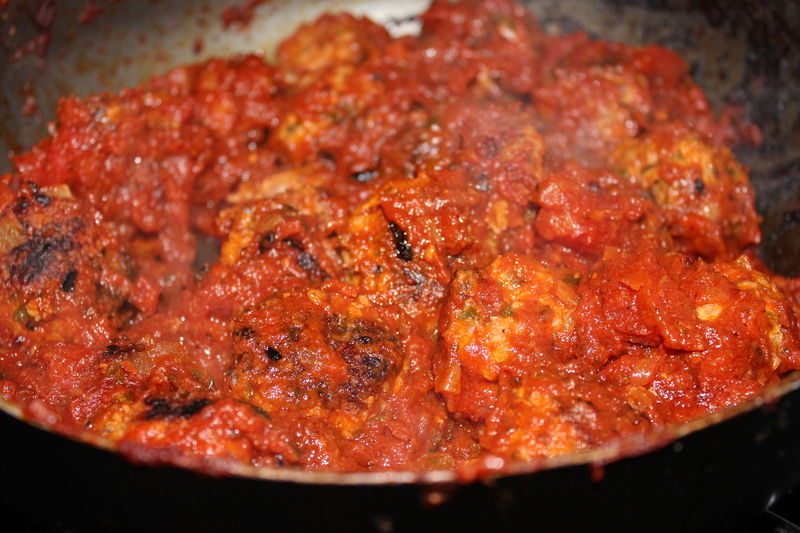 Transfer meatballs into simmering tomato sauce and allow to finish cooking for about thirty minutes. 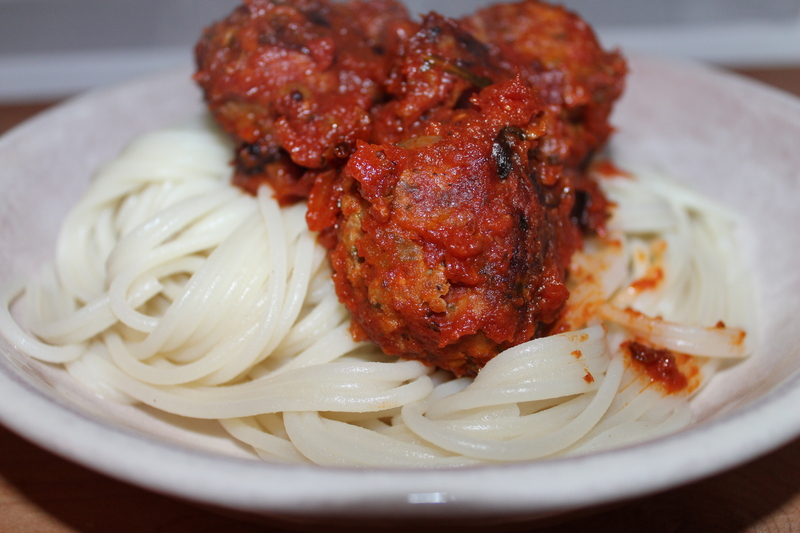 Serve over spaghetti and prepare to be in meatball heaven.